As a grocery shopper for almost all of my adult life, I've long since found out that here in Israel, at least (and I suspect everywhere), there is no such thing as one store with the lowest prices on everything. Some people get around this by shopping in several supermarkets every week, getting only the lower-priced products at each store. As I have neither the time nor the inclination for that, I keep a mental list of which stores tend to have lower prices on which type of groceries, and depending on the contents of my shopping list for the week, the coupons I have on hand and the sales advertised on Israflyer, I choose where I'll be shopping that week. But though old habits die hard (at least for me), there is a better and easier way to shop cheaply in the 21st century. Not long ago, I introduced you to an app that enabled you to determine which gas station in your immediate vicinity was cheapest, even before you get into your car. 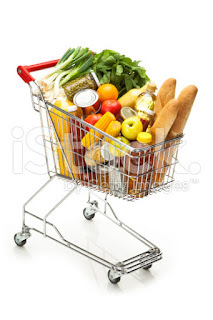 Wouldn't it be nice if there was an app or a website that did the same, only for the supermarkets in your area? As luck, or rather technology, would have it, there are several. While all help you out with your comparison shopping, each comes at the task from a slightly different angle, so you might want to try them all before settling on one or the other. As with Fulltank, the information is 'crowdsourced' - prices at different supermarkets is relayed as close to real-time as possible by the site's/app's users. All apps mentioned are entirely free to download. Pricez is probably the most comprehensive of all the sites I know of this type. You can also download their app (for iPhone or Android) on the site's homepage - the links are in the upper left corner. 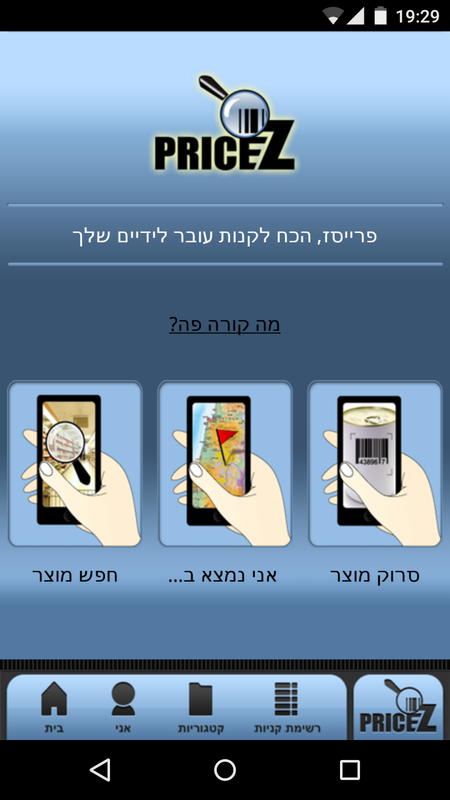 You can input your own shopping list either by typing it in freestyle (in Hebrew), scanning or typing in the barcode number of the products, or searching for your desired groceries on the site and adding them to the list. Once you have your list, the site can calculate at which supermarket you'll pay the least. 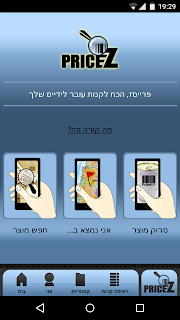 An especially cool feature is that if a certain item has a coupon, the lower left corner of the item will be colored red with the letter "ק" inside. Clicking on the red corner will bring you to the relevant coupon, either to print out (from the site) or to present on your smartphone (in the case of the app). Pricez also keeps track of price trends on the items at the site, so it's easy to see when an item really is or isn't discounted. You can also set up price alerts, so that when, say, the price of chicken drops below NIS 10/Kilo, you'll know where to shop. All in all, it's a really useful tool. However, as there are so many functions to this site, there's a certain learning curve involved. It seems the creators of the site/app understand this, as they've helpfully provided a series of short videos to help you find your way around. Another, simpler grocery shopping app (and the one I probably use the most) is Zollo. 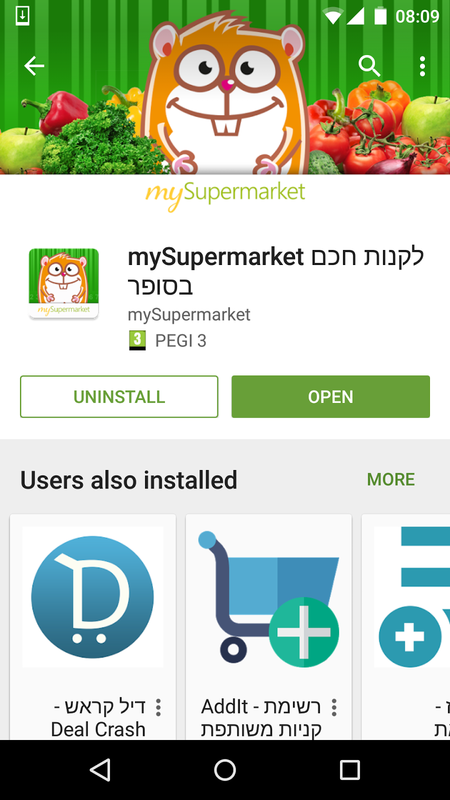 This app helps you determine which supermarket in your area is cheapest for the items on your personal shopping list. 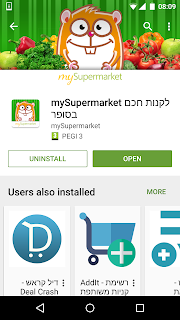 You can also scan your shopping receipt into the app, and a few hours later will get a comparison of prices, both in the aggregate and per item, of your grocery list at several different supermarkets in the immediate vicinity. The app will also tell you how much you'd save per year by shopping at the cheapest store. By doing this, you're also contributing input regarding prices at the supermarket you shopped at and helping the Zollo user community as a whole. Currently, the fully functional app (where you can compare prices before going shopping) is only available for iPhone users; the Android app is still under development and currently, only enables you to compare prices after the fact. As an Android user, I nevertheless enjoy this app very much, as it's simple and intuitive to use. I'll be very happy when the Android app's functionality is similar to the iPhone's, however. 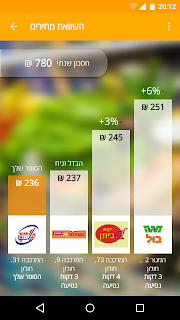 Yet another price comparison website and app ( iPhone, and more recently, also for Android) is My Supermarket. This program is geared mainly towards people who do their shopping online. You can start shopping at any one of five online providers (Shufersal, Mega, Yeynot Bitan,Victory or Rami Levy), pick out your groceries on the site/app, and the program will automatically compare the price of your basket between the online merchants available in your area. You can switch from one online supermarket to the other with a simple click, and then send your order to the merchant of your choice.